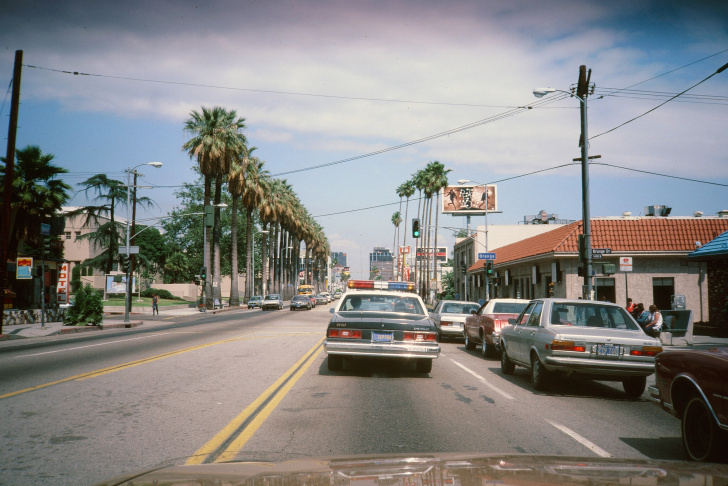 1991: General view of the Los Angeles Freeway in Los Angeles, California. October 1, 1992: General view of the Hollywood sign on a hill above Los Angeles, California. 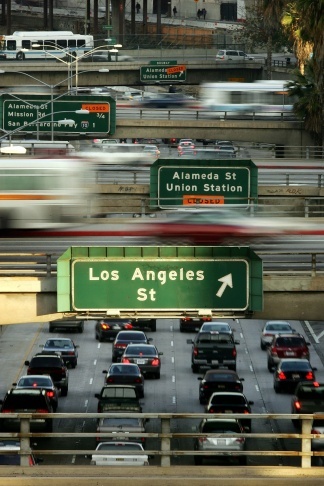 Rush hour traffic clogs the 101 freeway and overpasses on March 22, 2006 in Los Angeles, California. 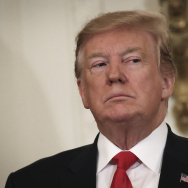 According to a recent report by the Environmental Protection Agency (EPA), Los Angeles ranks only behind New York with the dirtiest and most hazardous air to breathe. 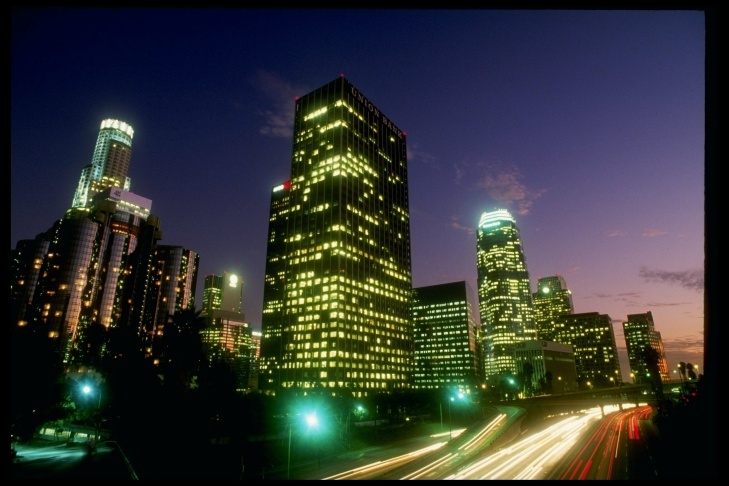 Although Angelinos breathe cleaner air than they did in the 1970's, they face a cancer risk that is about twice the national average. 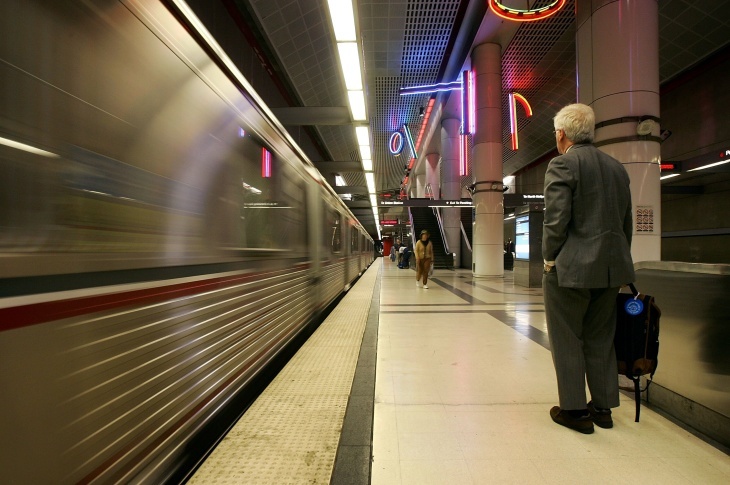 A rider waits to board as a train arrives at the subway stop at Pershing Square on April 25, 2006 in Los Angeles, California. 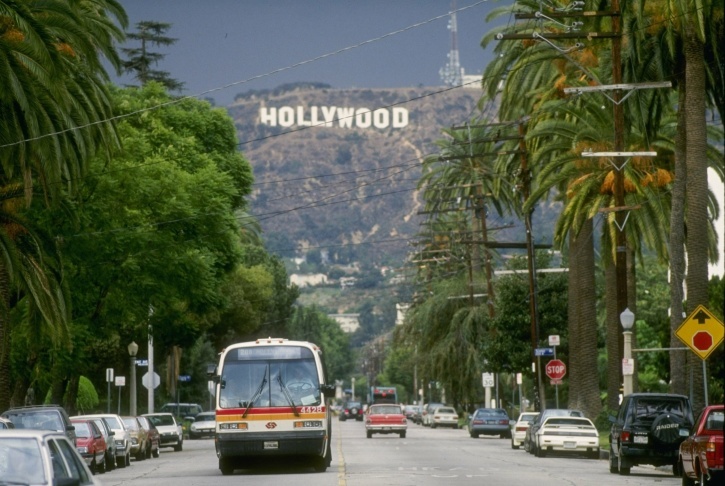 As gasoline prices soar, Los Angeles bus and rail systems are rapidly gaining new riders. Ridership on Los Angeles' red line route is up 17.5 percent this year using numbers calculated before the price of gasoline reached to $3 a gallon. 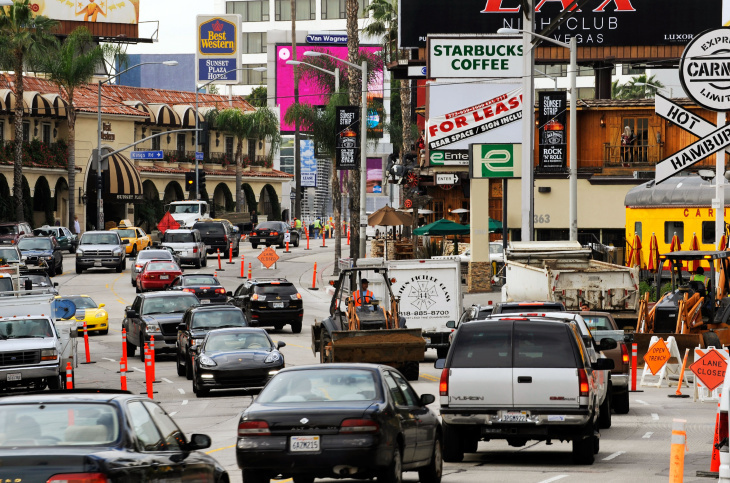 The morning rush hour traffic crawls through Sunset Boulevard where work has began on the $7 million facelift after more than 75 years of use on January 29, 2010 in West Hollywood, California. The project is expected to last six months. 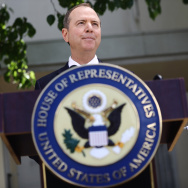 The City of West Hollywood received one million dollars in federal funds from the Federal American Reinvestment and Recovery Act for the Sunset Strip Beautification Project. 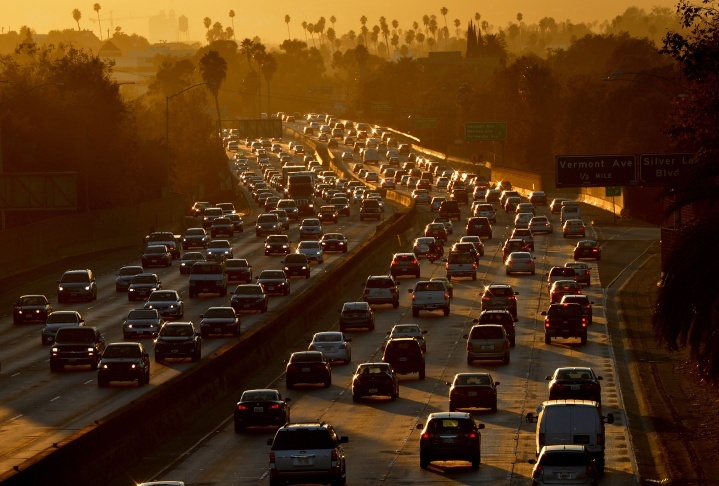 Heavy traffic clogs the 101 Freeway as people leave work for the Labor Day holiday in Los Angeles on August 29, 2014. A Labor Day travel prediction by the American Auto Association (AAA) expects that 34.7 million Americans will journey 50 miles or more from home during the Labor Day holiday weekend, mainly due to lower gas prices and a rebounding economy. 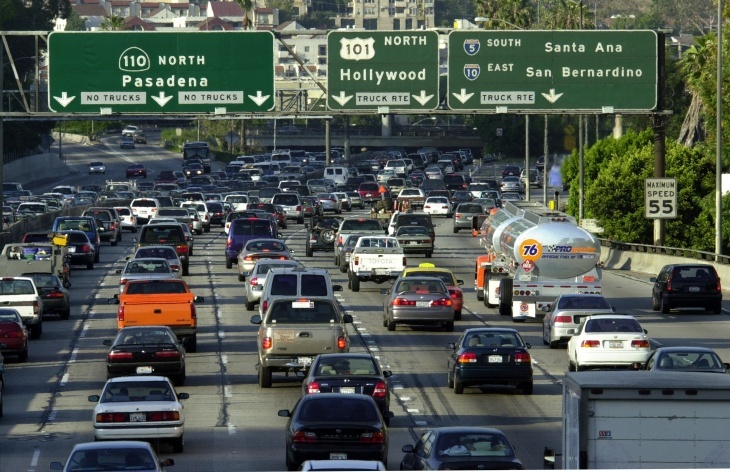 Besides the Hollywood sign and the walk of fame, Los Angeles is probably best known for its traffic. 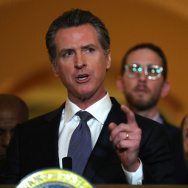 Constantly atop lists of cities with the worst commute times or most congested roads, the city of L.A. has been working for decades and on a multitude of fronts, trying to make it easier and faster for residents to commute in and around L.A. So, how much progress has been made in the last 30 years? 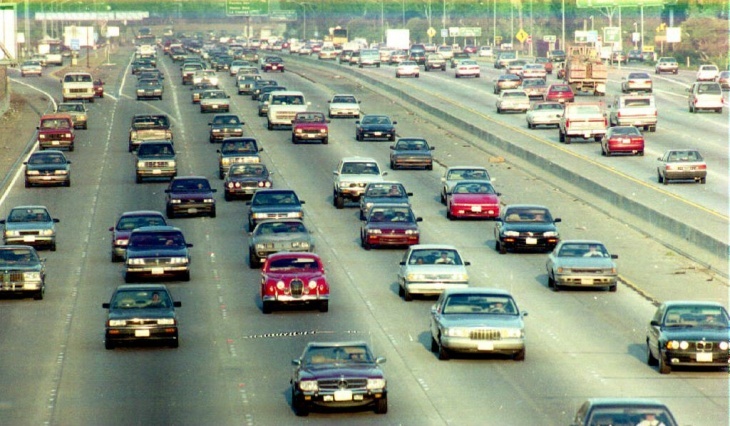 As part of our 30th anniversary celebration, AirTalk takes a look back at how transportation in L.A. has (and hasn’t) changed in the last 30 years and a look ahead at what lies in the future for commuters in L.A.